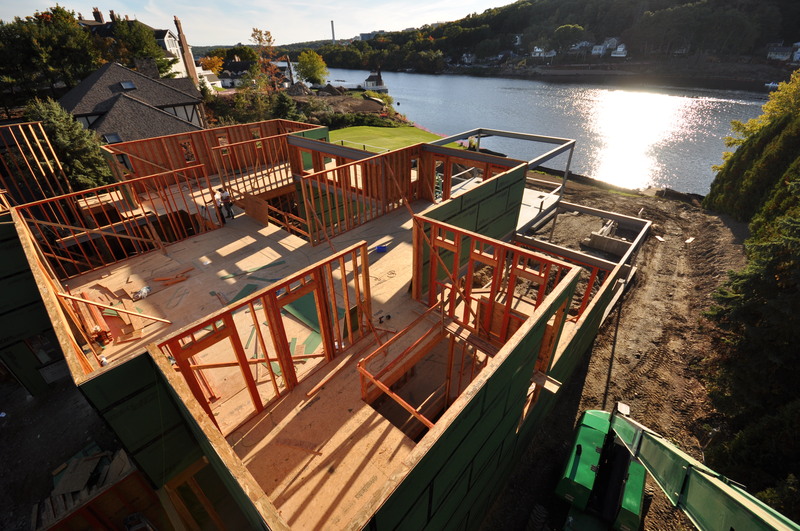 Our office is currently working on a private lakefront residence located on Lake Quinsigamond in Shrewsbury, MA. The elegant architectural design frames views of the lake, connecting first and second floor spaces to the exterior through expanses of glass, outdoor balconies and gathering spaces. Last week we visited the site to observe the second floor framing from the lift!